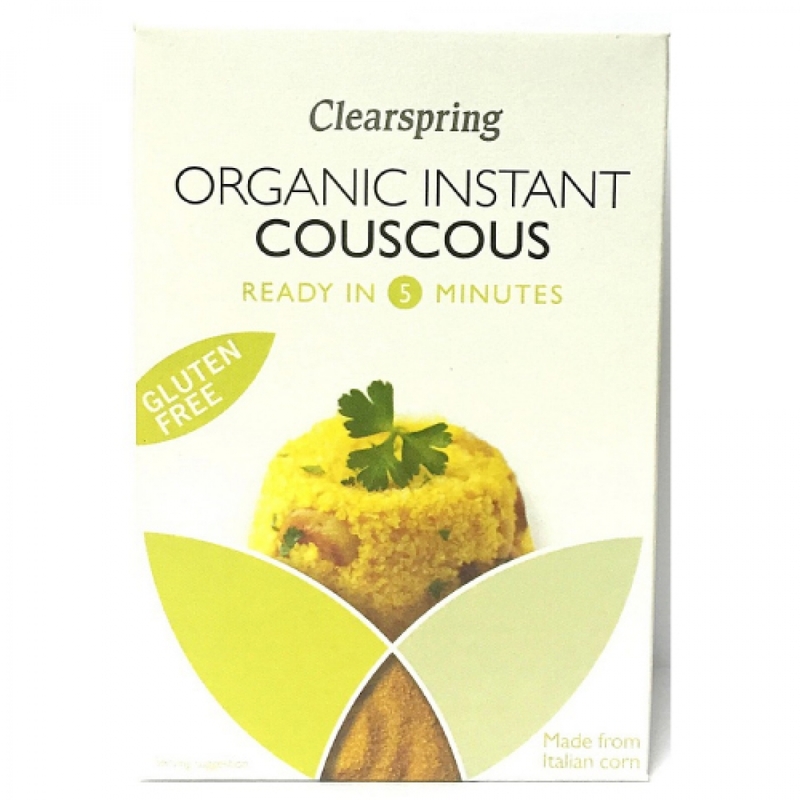 Clearspring Organic Gluten Free Instant Couscous is made from golden coloured 100% organic Italian corn. It has a texture and consistency similar to that of durum wheat couscous. A great alternative to rice and pasta, this mild flavoured grain is delicious served with Moroccan tagines, as a stuffing for roasted peppers or in a summer salad mixed with herbs and capers. For one serving, pour 100ml of freshly boiled water from a kettle over 65g of couscous in a bowl. Cover and leave to stand for 5 minutes. Fluff with a fork and season to taste.